Should I Flash My High-Beams? Welcome to a new feature where I ask our own Jason Torchinsky to answer random questions — from readers, people I meet on the streets, and imaginary folks he thinks he's talking to — in handy flowchart form. We call it "Flow on the Floor." 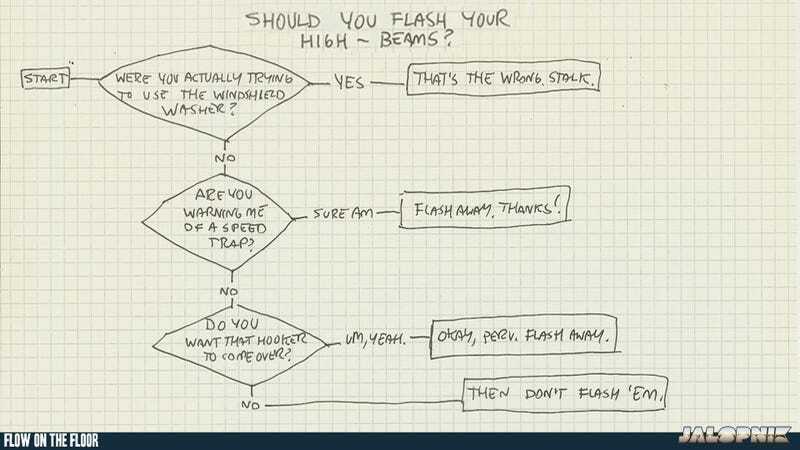 Today he's answering: Should I flash my high-beams? — Ed. This one could save your life, probably.